On Eagle’s Wings is a beautiful track on the CD, Signature. This album is an intimate collection by request comprised of heart-warming favorites, imaginative new arrangements, and emotive original compositions blended together in a “personalized package” which our listeners will enjoy. 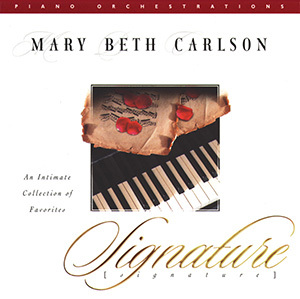 Mary Beth Carlson is accompanied by an extraordinary ensemble of talented string and woodwind artists from both the St. Paul Chamber and the Minnesota Orchestra.